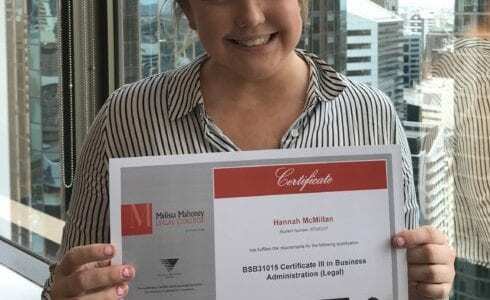 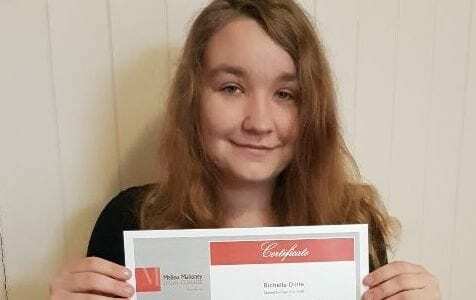 Hannah McMillan from McKays Solicitors, Brisbane commenced her Certificate III in Business Administration (Legal) in October 2016. 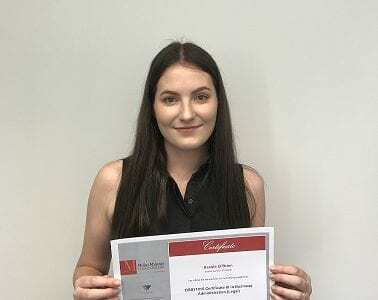 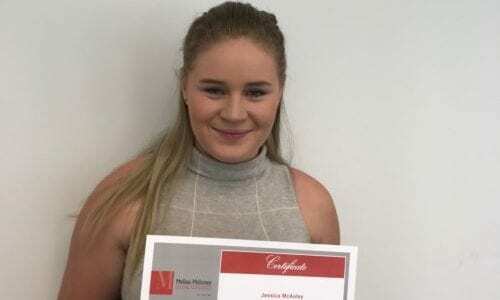 Hannah was recently promoted to a role within the firm’s banking and finance team and successfully completed her certificate and was awarded this on 31 October 2017. 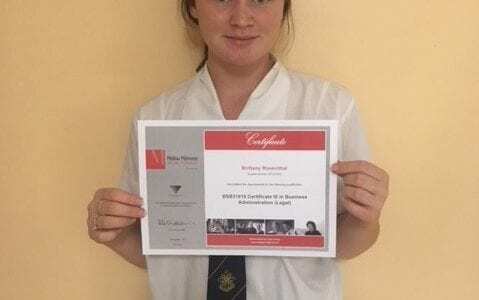 Congratulations Hannah!